The Portuguese-French painter and graphic designer Maria Eléna Vieira da Silva was born in Lisbon on 13th June 1908, to a Portuguese diplomat’s family. She began drawing and painting at the age of eleven, and a short while later, began sculpting. From the beginning, the family supported her artistic leanings. 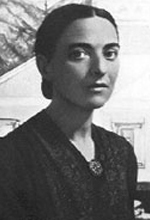 Maria Eléna Vieira first attended the “Academia de Belas-Artes” in Lisbon. In 1928, she went to Paris with her mother and studied painting under Antoine Bourdelle (1861 – 1929) and Charles Despiau (1874 – 1946). She then became influenced by the work of Fernand Léger (1881 – 1955) and Stanley William Hayter (1901 – 1988). In 1929, Maria Eléna Vieira finally settled on painting and studied under Léger and Roger Bissière (1886 – 1964) at the “Académie Ranson”. 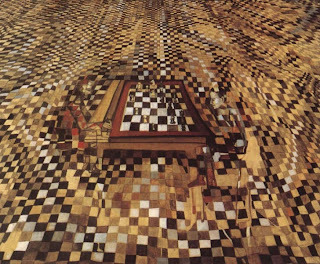 In 1930, Vieira married the Hungarian painter Arpad Szenès (1897 – 1985) and exhibited her work in Paris for the first time. 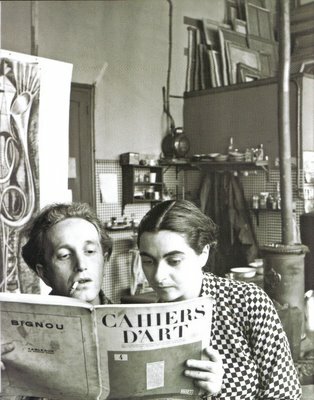 In 1933, the gallerist Jeanne Boucher organised the first of Maria Eléna Vieira’s numerous solo exhibitions. 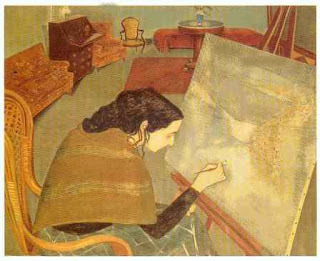 In 1939, just prior to the outbreak of World War Two, the artist and her husband fled to Portugal, and then Brazil. Whilst living in Brazil, the couple was given official commissions and had significant influence on local cultural life. Vieira da Silva also participated in various exhibitions in Brazil. In 1947, they returned to Paris, and in 1956, Maria Eléna Vieira became a French citizen. Maria Eléna Vieira da Silva’s work was exhibited at the “documenta I”, “II”, and “III” exhibitions. 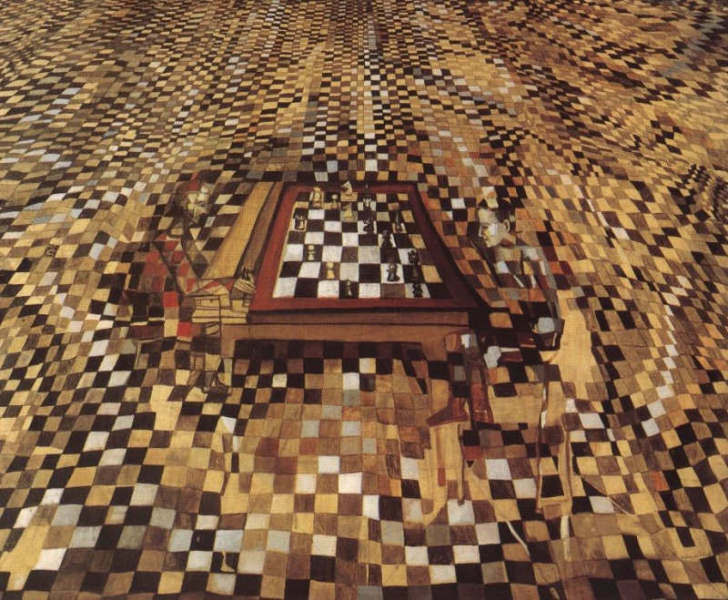 The artist also participated in the 1961 São Paulo biennial and was the first woman to win the French “Grad Prix National des Arts”. In 1990, the foundation, “Arpad Szenès – Vieira da Silva” was founded in Lisbon. During the following year, the artist was made a knight of the Legion d’honneur. Maria Eléna Vieira da Silva died in Paris on 6th March 1992. The artist’s predominantly large-format paintings consist of mosaic-style fields of colour and a network of lines. 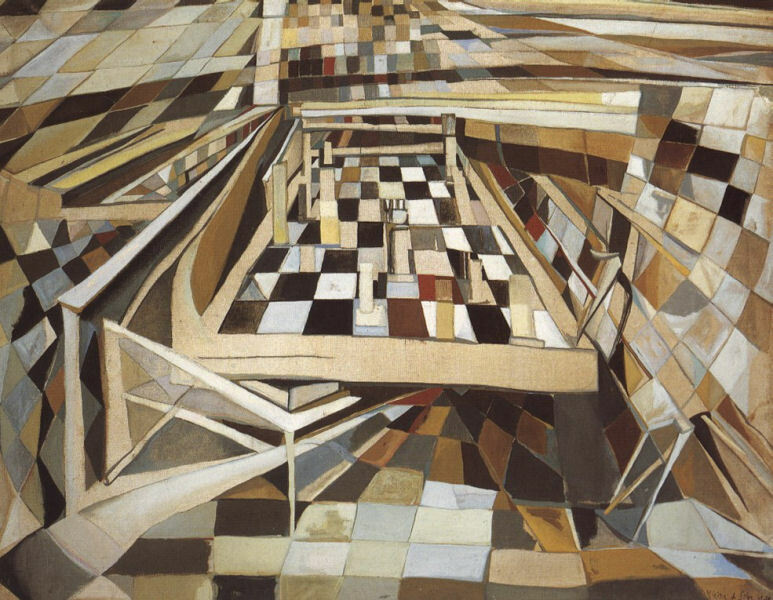 In the early phase of her career, Vieira da Silva executed surrealist objective paintings. The abstract works of the 1940s and 1950s show a large depth of field, which is absent in later works. In addition to paintings, the artist’s broad oeuvre includes prints, tapestry, ceramic tiles, and glass windows.